A trial of four men, including two Sudanese church leaders and a foreign aid worker, resumed on 29 August in Khartoum, with Sudan’s prosecution accusing the defendants of highlighting alleged Christian suffering in war-ravaged areas of the country. The four are accused of conducting intelligence activities and providing material support for rebels in Sudan’s South Kordofan region. According to the Paris-based Sudan Tribune, the prosecutor on 29 August displayed photos and videos which he claimed Jasek handed over to a US-based medical-relief agency. The photos apparently show sites in war-affected areas of South Kordofan state, which borders the now-independent South Sudan; a team from the relief agency looking at a map of the Nuba Mountains; and the defendants appearing beside destroyed buildings with members of the agency and the rebel Sudan People’s Liberation Army-North. The prosecution alleges that the defendants claimed the buildings were bombarded by government warplanes. The prosecutor claimed Jasek was planning to go to areas “claimed to have been destroyed by the Sudanese army” and that the medial-relief agency intended to interview civilians whom the agency says were tortured by the Sudanese authorities. The judge, Osama Ahmed Abdallah, said the photos underscored that Jasek was present alongside the relief agency’s team in the Nuba Mountains in 2012. The Nuba Mountains are an area of significant Christian presence adjacent to South Sudan. The Nuba region never benefited from the 2011 plebiscite that allowed the mainly Christian south to secede from Sudan. The court session took place amid “remarkable presence” from Western diplomats and rights groups, Sudan Tribune reported. Some of the charges against the four defendants, whose trial began last week, are punishable by death. The prosecutor demanded the harshest punishment, and the judge heard an “investigating consultant”, who spoke on behalf of the security apparatus that filed the case against the defendants, Darfur’s Radio Dabanga reported. “During the presentation of the photos [by the prosecutor], the electricity was cut. This was before the consultant had the time to present recordings that were also brought in as evidence,” defence lawyer Dimas James Marajan told Radio Dabanga. Meanwhile, the Sudan People’s Liberation Movement-North on 27 August called on US Special Envoy Donald Booth, who is currently visiting the country to help to secure the release of detained pastors and activists in Sudan. 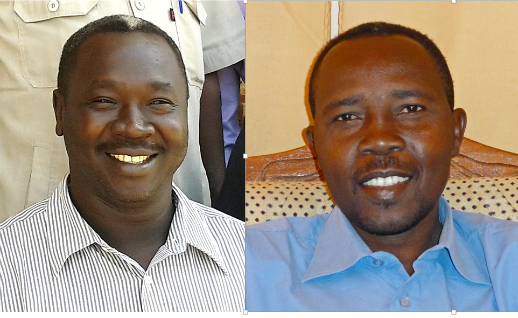 Milad Musa, a pastor of the Sudanese Christian Church, urged human-rights defenders through Sudan’s Radio Tamazuj to put pressure on Khartoum to allow the two pastors to see their families. Between December last year and the start of the trial, the four had mostly been held without charge, even though Sudanese law forbids it. Following South Sudan’s independence in 2011, President Omar al-Bashir – wanted by the ICC for crimes including genocide – has reasserted Sudan as an Islamic state governed by Sharia. Pressures have been ratcheted up against Christians since. In a separate case, three human rights activists detained since May were scheduled to appear in court on 30 August on numerous charges, including crimes against the state, that carry the death penalty.